FREE embraces the philosophy that all individuals can lead happy lives, and strives to serve all individuals, whatever their strengths and challenges might be. The goal of Community and Family Support Services is to ensure the Health, Safety, and a Quality of Life for all of the individuals served. We, as advocates, accomplish this through support, awareness of available resource, and effective coordination of services. Community Habilitation Services provide an individualized community habilitation plan to assist individuals in developing independent living, recreation, socialization and other life skills. Professional staff members provide this service in the person’s home and in the local community. Intensive Behavioral Services are available for Long Island residents, in non-certified home settings, experiencing challenging behaviors in the home. 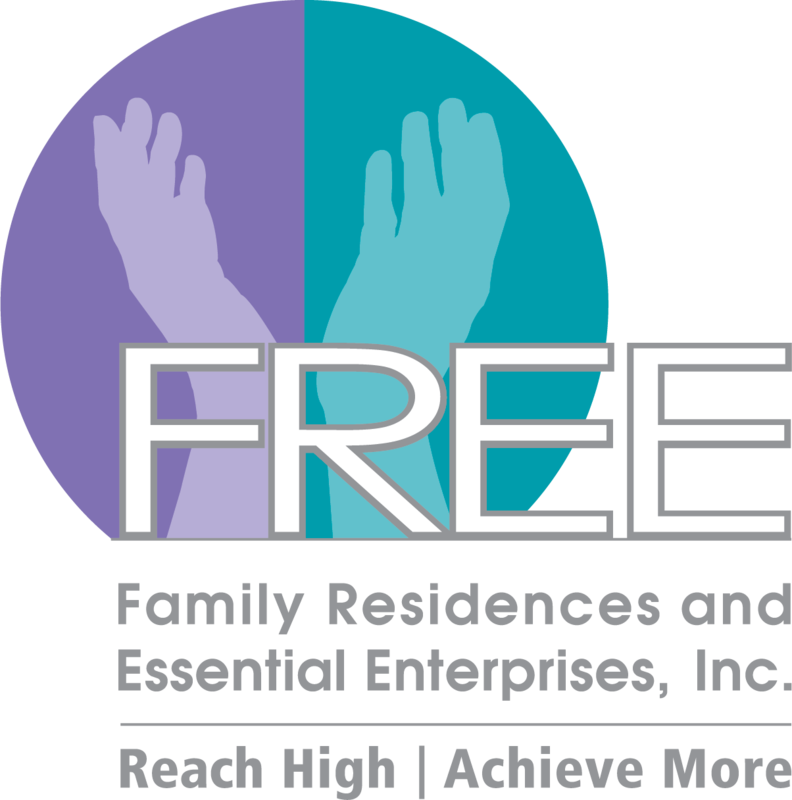 FREE’s team of Behavior Intervention Specialists works with the individual and family to design and maintain a behavior support plan to enable the individual to function as independently as possible, and remain living in their home setting. Overnight Free Standing Respite Services allow for individuals to stay at our respite home for brief periods to enjoy socialization, recreation and respite from their family routines. This also allows families responsible for the care of their loved one to vacation, or simply get a short break from their daily activities. Adaptive devices are aids, controls, appliances, or supplies – of either a communication or adaptive type – which are necessary to enable a person to increase or maintain his or her ability to live at home and in the community with independence and safety. Assistive Technology includes, but is not limited to: augmentative communication aids and devices, adaptive aids and devices, and vehicle modifications. E-Mods are physical adaptations to the home that can increase or maintain the individual’s ability to live at home with independence. Environmental modifications include, but are not limited to, ramps, lifts, hand rails, and bathroom modifications (such as roll-in showers). In addition to these physical types of modifications to the home, E-Mods can include modifications that address the individual’s sensory deficits, such as Braille identifications systems, strobe light smoke detectors and alarm devices, and modifications that promote a safer environment for individuals with challenging behaviors, including window protection, reinforcement of walls, open-door signal devices, and durable wall finishes. Family Support Reimbursement is a Family Support Program offered through the Office for People with Developmental Disabilities (OPWDD). The program assists families with costs above and beyond typical expenses incurred by their family member’s developmental disability.